China is the future, the coming force of the world economy. And Bernard Charles Ecclestone doesn't need much encouragement to seek to hammer F1's stake into arable ground. His following the money is a reaction rather akin to that of Pavlov's Dog. 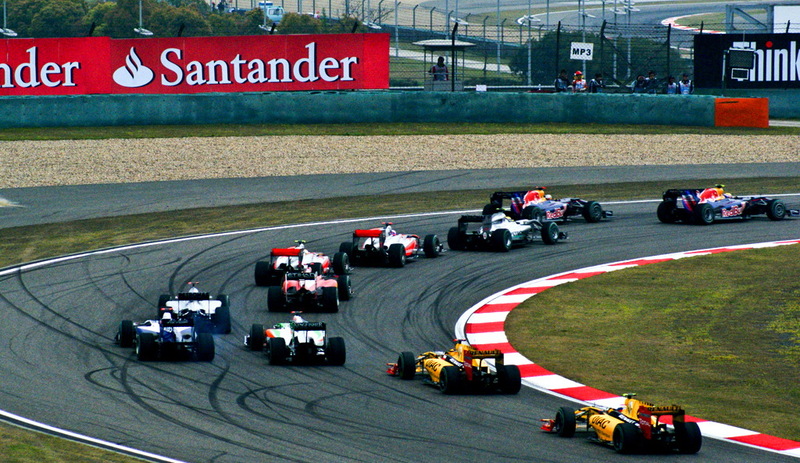 The Chinese Grand Prix can be viewed as a little brother of the Hungarian race that appeared almost 20 years before it. Or rather, a bigger little brother, if that makes sense. In both cases it was a nominally Communist state, but one whose regime was losing the faith somewhat and keen to show the world instead that the country was outward looking and willing to embrace markets. And in both cases hosting an F1 race was seen as a great way of sending this message. Therefore no expense was spared in constructing a venue from nothing which featured all imaginable mod cons, and in giving Bernie a nice big cheque for the privilege of it all. Today China still seems like a new F1 stop-off, and thus it is rather disquieting that this weekend will mark visit number ten. Perhaps it shows the way that sport, and F1 in particular, exists solely on fast forward. But perhaps it also demonstrates that the Shanghai International Circuit, even compared with previous Tilke-dromes, represented an vast acceleration in standards when it landed on the F1 itinerary, leaving everyone and everything else breathless. Even now arguably only the Abu Dhabi venue has since usurped it. The Chinese facility is vast, including towering and gleaming architecture which looks a product of the imagination of a sc-fi author visualising a Utopian future. 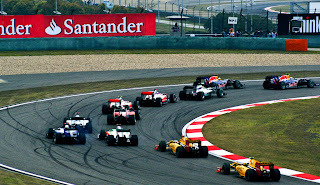 When the F1 circus first visited in 2004 no one knew exactly what to expect (nor, it seemed, did the locals of F1 - another factor redolent of Hungary), but the event swiftly was considered a big success for a variety of reasons, the cosmopolitan Shanghai city being one of them (the road traffic was and is a matter of taking your life in your hands though). Sadly, the early years' vast crowds (fully 270,000 came through the gates in 2005) were not sustained. The slide was reversed a little last year though, helped by more reasonable ticket prices. And the Chinese regime still sees the event's use, and thus it chunters on. 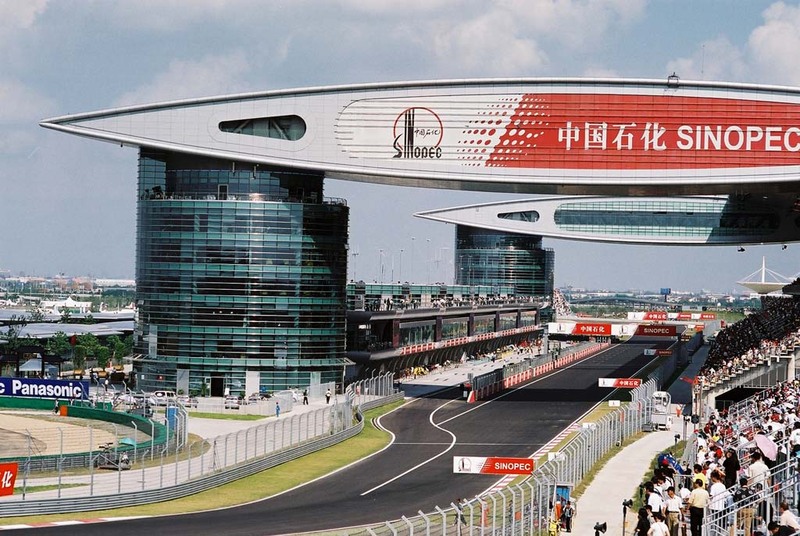 The Shanghai circuit has all of the Tilke fingerprints: over and above the architecture the track layout contains the inevitable long straight book-ended by sharp corners inserted in a deliberate attempt to increase overtaking, as well as a fast esses section. However, slow and medium speed corners dominate, and thus the track doesn't quite have the flow of some of Tilke's other efforts such as Sepang, India or Austin. But it's tended to give us entertaining races, the previous two being particularly good. No driver or team can be said to have dominated here either, Lewis Hamilton has won here twice but otherwise no one has triumphed more than on a single occasion. Shanghai it seems is developing happy knack of being a place where the unusual happens. What helps in this is that strategy considerations at Shanghai are knife edge. In particular, the choice between a two-stop strategy and a three-stop results in much head-scratching, and the last two years' races don't provide much a steer: two years ago the race came to the three-stoppers, helping Lewis Hamilton ambush Sebastian Vettel for the win late on. Last year Nico Rosberg won comfortably employing a two-stopper which was at a variance with the McLarens, Webber and Alonso chasing him, and Romain Grosjean and Bruno Senna claimed strong results with the same two-stop approach. But Kimi Raikkonen also tried a two-stopper and his tyres, to coin the well-worn (pardon the pun) phrase, 'hit the cliff' resulting in him sinking from P2 with nine laps to go to P14 by the end. The tyre compounds are the same selection this year as last, and Pirelli's Paul Hembery has indicated that while three-stoppers may be the norm a two-stopper is possible. As in 2012, the decision on the way to go will hang on tyre life and how much pace one can get out of the medium tyres, so the evidence gathered in Friday practice will dictate many race strategies. Increasing the tyre-related headaches up and down the pitlane are that the ambient temperatures will be much more Melbourne than Malaysia (and we all recall the graining problems in the former, especially on the Red Bulls), but the type of corners at Shanghai are very different to those in Australia. In particular, there is the turn 1/2/3 section which is a tightening right hander followed immediately by a sharp left. And then there are turns 11/12/13 which are the same expect in reverse. Both have the ability to play havoc with the left hand side of the car, particularly the front left tyre. Tyre nursing may again be a key feature of proceedings this weekend. 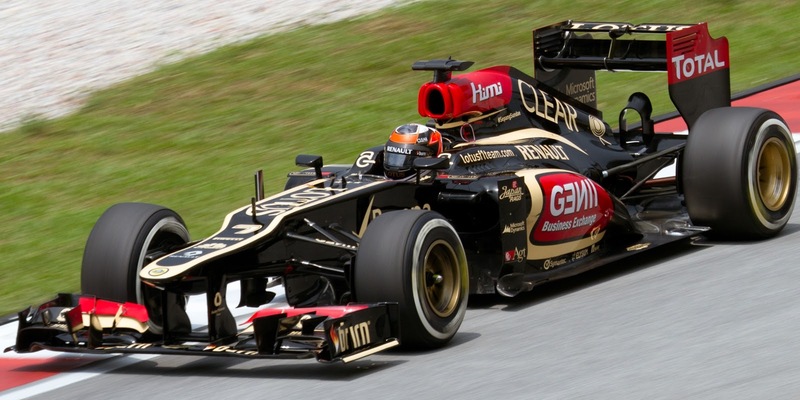 Is Kimi Raikkonen the one to watch again? Form is hard to predict too, as we haven't yet received the full picture of 2013's competitiveness, and there will likely be a few technical changes made in the break since Malaysia. All of the top teams further have been hit and miss (or in McLaren's case, miss and miss) in the first two rounds, the pack is tight and finding pace is clearly akin to tightrope walking. But if temperatures are Melbourne-like, tyre wear is crucial and a two-stopper is doable on race day then Lotus and Kimi Raikkonen are likely to be ones to watch. The E21's sound handling, including at low speed turns, will also serve it well. As is often the case with the Lotus though much will depend on how much its drivers have to do from their grid slots (particularly as getting your front left tyre 'switched on' for turn 1 is another conundrum at Shanghai), and the extent to which they get stuck in the pack in the race. It's not yet clear how generous the DRS zone will be on the extended back straight either. And Kimi will need to avoid pitting too soon as he did last time here. Sebastian Vettel and Fernando Alonso are both hard to write off as always, and both will be keen to strike back after a difficult Malaysian round (for varying reasons in the two cases). Mercedes also has fond memories of the place, and the car has displayed Lotus-like qualities so far in 2013 too, so may be well-placed to provide further evidence this weekend that its upturn is not a transient one. As for McLaren, many eyes will be on the team to see the extent, if at all, it can improve from the opening two rounds having had a three-week break to try to fix its troublesome machine. Those in the team are making all of the right noises, but things will hinge a lot of whether its troubles can be fixed quickly, or whether as Mark Gillan feared they'll take a bit longer. And given tyre wear is likely to be an issue we can perhaps look at the Sauber as a dark horse, whose car was famously gentle on the rubber last year; furthermore Kamui Kobayashi started third in Shanghai last year. And of course, Nico Hulkenberg is not a mug. Therefore we enter the weekend with many more questions than answers, and the answers we're to get on Sunday are unlikely to be foreseen by too many. Which is just how it should be. China may well be the future, but its here and now will be well worth watching too this weekend. Interesting to see if Red Bull have shaken off their top speed disadvantage. Given that the Chinese circuit can ultimately be won with a majorly low downforce setup (Mercedes ddrs and high top speed last year) it'd be interesting to know if Red Bull have been able to cover that off now after their pace in Malaysia.